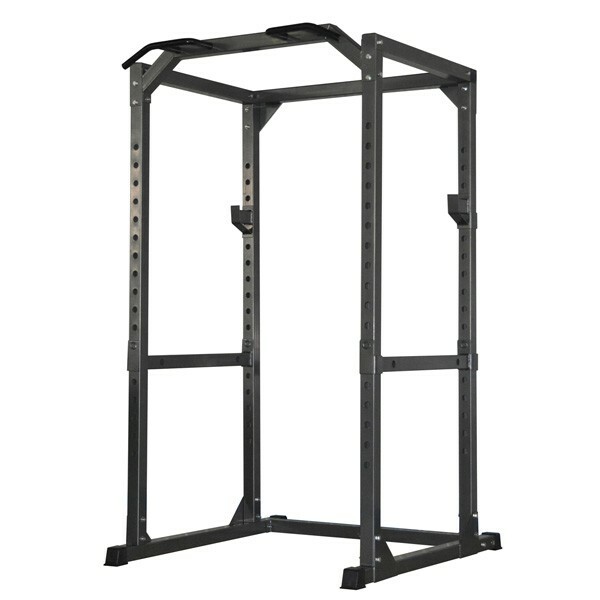 A power rack, also known as a squat rack or cage, is a piece of strength training equipment which enables you to lift weights safely on your own. This will help you gain strength as you can have confidence that you can push to the limit as you have insurance for failing a set, that really gives you the extra drive to try that extra rep! The weight capacity of the cage will generally be determined by the strength of the steel in the construction and therefore directly linked to the gauge. 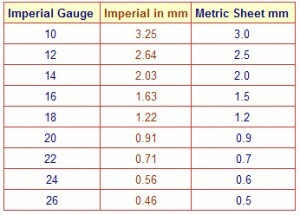 What gauge cage should you buy? At the time of writing I have two, both 14 gauge: one rated to 363kg (a Bodymax CF475) and the other (unknown brand) to 450kg. The gauge doesn’t tell the whole story however as the spotters are much more robust on the Bodymax CF475 which is actually rated lower. 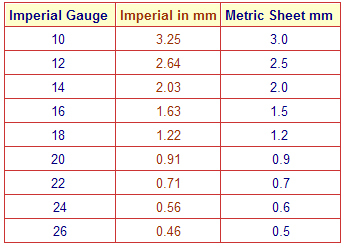 Generally the gauge description will only be in relation to the main frame and the spotters may be weaker. This is where reputation and brand come into the equation, brands like Bodymax etc. are well known in the community and are generally seen as a good, safe manufacturer. Most cages below their level would have material compromises as my experience shows. I have no issues recommending a 14 gauge steel cage for most personal applications (assuming you lift less than 363kg), but I would suggest getting one with sturdy spotters to make sure the most important part is not the weakest! Sabre safeties – these insert from one and and pass through the entire length of the product. As a result they need space in front of the cage to fully remove the bars. This style is usually on cheaper products and the bars are often hollow and round providing the least sturdy spotter solution. It can be improved by inserting a solid steel cylinder into the bar. Note some high end cages like Rogue etc. have sabre safeties that are solid – these are very strong. Again brand and reputation come into this. Pop pins – these pins are pulled out and the bar moved, release the pin and it catches. Tighten to secure. These are more useful for those with less space, but are time consuming to move multiple times in a workout. Usually square bars. 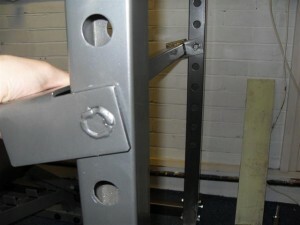 Removable – the bars latch in from the side. A good balance between speed and strength, often found on premium products. My preference. All have their pros and cons, but my preference is for removable bars as they are nice and quick to change. Do I have room for a power cage? To fully utilise a rack you will need enough room for the cage dimensions (see above for a rough guide) but also some “working room” around it. I have a dedicated floor area which measures c.2.5m x 2m. This has enough depth for me to have my CF475 centre stage (with a lat pulldown attachment if you have one) and enough width to allow me to accommodate a loaded 7ft olympic barbell on the mat for deadlifting. As I bench inside my CF475, I also have an additional area beside this where I can store my bench temporarily on its end. A better question is can you maximise your home workouts WITHOUT one of these!? Probably not. Squats – both front and back squats can be performed safely as you can place the barbell at the correct height to get the weight on to your body correctly. They are so useful for squats, they are often referred to as squat racks. 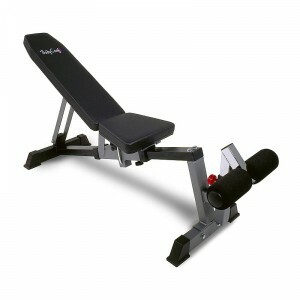 Benchpress – including incline/decline presses. By placing a bench within the unit (and adjusting the spotters accordingly) you can bench press in complete safety. A spotter for heavy bench pressing is really important, so I love having spotter bars to let me go for one rep maximums on my own or really push out those AMRP (as many reps as possible) sets. Overhead press – I’m quite short so can do standing barbell overhead presses inside the CF475, using the J-hooks/spotters to hold the weight between sets at chest level making it easier to get into position. 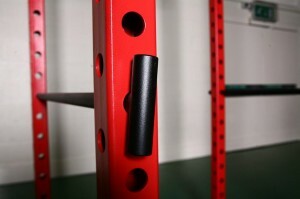 Taller users limited by the height of the cage can put hooks on the front of their uprights to accomplish the same outwith the product, or perform seated overhead presses inside instead. Deadlifts & bent over rows – My workout area is fairly small so I deadlift & perform other barbell exercises inside the cage with the spotters removed. Pullups – the horizontal bars at the top usually double as pull-up/chinning bar. Dips – most racks have dip attachments available which I recommend, alternatively using a couple of barbells (with suitable counter weights) can accomplish the same affect. …Alongside many more!! Check out my post on building a great workout program to help put together a decent routine. What other equipment would I need? Gym mats – I lift in a garage with a concrete floor. To protect the weights, floor and reduce noise I use 14mm plastic floor tiles. It also doubles as a “lifting area” to prevent people wandering into the danger zone mid-set and also stops others from dumping things in my way! In short, there is no substitute for a good cage. There are other bits of equipment you can use to do one or two exercises, but nothing that would be as efficient a use of space as you would need a few pieces to get the full range of workout options. Squat stands – allows you to get a loaded bar onto your upper body. 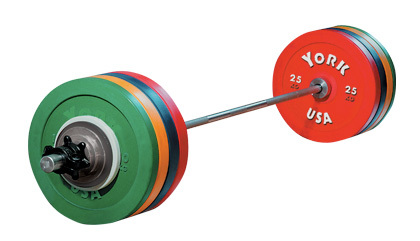 Can be hard to safely return the weight without strong uprights as a visual guide, and most do not have spotter bars. Also quite big. 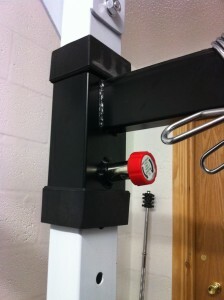 Pullup bar – usually attaches to a door frame. Fairly cheap and inexpensive. Dip station – a great exercise, but a dedicated station is a poor use of space in my mind. 1) If you are on a budget the Bodymax CF375 (£280) offers a robust entry level solution but with the poor sabre spotter bars. 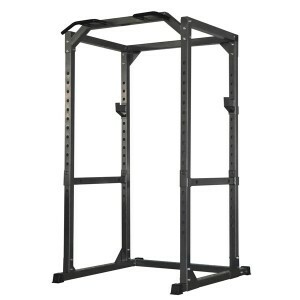 Great basic cage, but may require upgrading in future if you consistently lift over 100kg. Click here to read a review. 2) Balancing cost and quality, I believe the Bodymax CF475 (£350) is one of the best available with great, strong spotters that can be easily and quickly detached offering the best balance of speed and safety. Learn more by reading my review here. 3) For slightly more cash, you can have the 12 gauge Bodymax F430 (£430). A much stronger example, but uses pop pin safeties which take longer to adjust than the detachable CF475 bars. PowerLine PPR200X which is very similar to the CF375 mentioned above. Cheap, entry level product. XMark with Dip Station is similar to CF475 in terms of 14 gauge construction, while being a better looking cage like the F430 mentioned above. It has pop pin safeties. A great investment in your weight lifting lifting career, I would recommend picking one up as an essential purchase for your home space!